Home » Bollywood News » Why did it take 20 years to make a biopic on Pan Am Hero, Neerja Bhanot? Here's why @SonamaKapoor's #Neerja is a story that needs to be told. It has been almost 20 years since brave heart Neerja Bhanot sacrificed her life to save the passengers of the fateful Pan Am flight. While most Bollywood films are about heroism and heroic missions, it is shocking that script writers in the industry ignored Neerja Bhanot's story for this long. Director Ram Madhvani and his team decided that the forgotten story of the Pan Am hero needs to be told and thereby came up with her biopic. More than the incident, Madhavani says it is the passion to revisit the truth which motivated him to make a movie on Neerja. Also Read: Neerja: How did Sonam Kapoor prepare to play PanAm heroine Neerja Bhanot? "I am interested in capturing truth and reality and that is the major reason to direct Neerja." Everyone has, at least, one fear and it requires immense courage to overcome this fear. Neerja is not just a story about a flight attendant rescuing passengers from hijackers, but also about the courage to overcome fear. 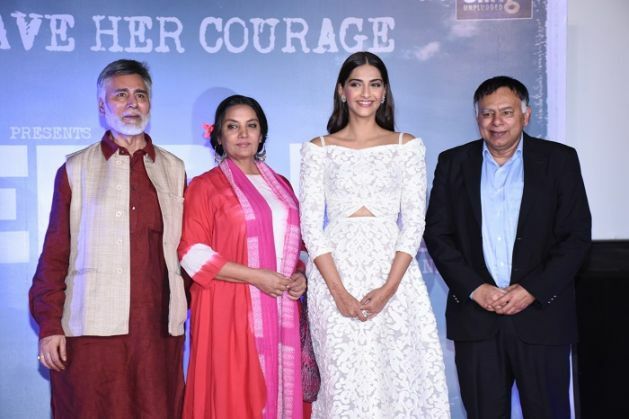 Team Neerja feel that they have come up with an honest, unadulterated film by staying true to the realities and hope that they do not hurt the sentiments of anyone in the world, including Pakistan. Also Read: Pakistan bans Neerja now. But why then did they award the Pan Am hero? "It is very rare to find someone like Neerja and I am proud to be a part of this film which I hope will inspire people," says Sonam Kapoor. READ NEXT >> Can football fuel a war between Russia and Turkey?